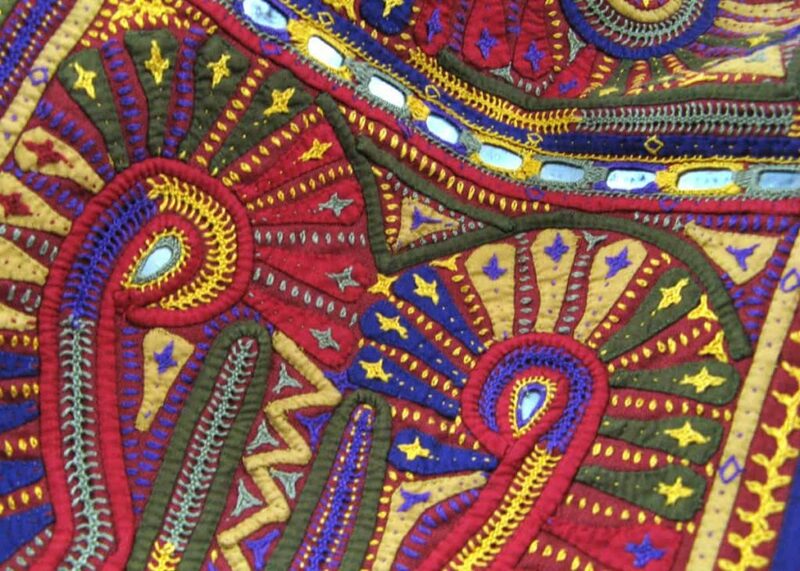 Barbara Mullan, a fellow of the Embroiderers’ Guild of South Australia, teaches and lectures about textiles throughout Australia and overseas. Barbara is the face of Indian textiles in Adelaide and the wider Australia. 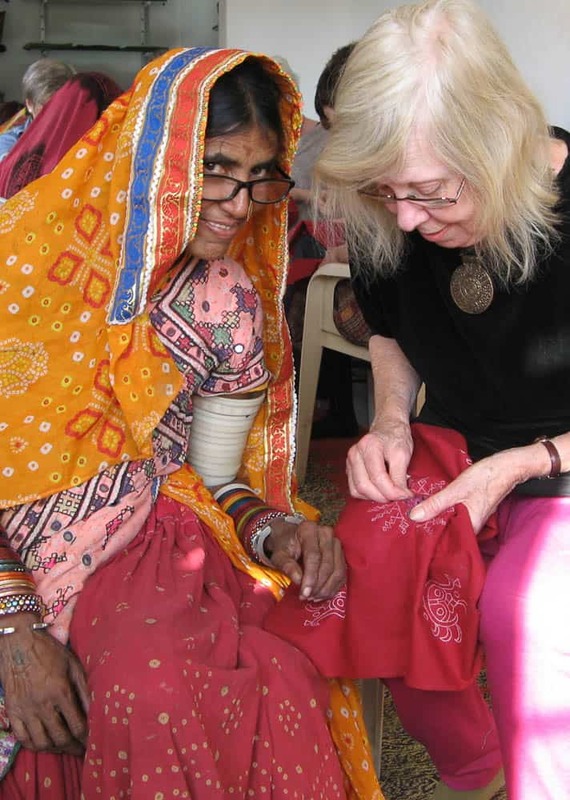 She is a sought after textile-tour leader with a strong bond with the artisans from the desert regions of Gujarat, India’s westernmost state. On her second trip to India a year later, Barbara set out to visit the desert regions of Gujarat. “I love deserts and tribal textiles and Gujarat certainly ticked both boxes. 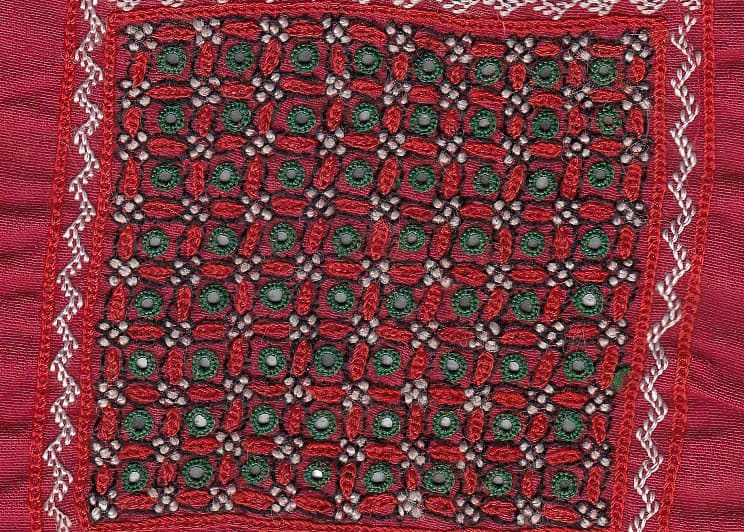 I kept in email contact with Salim since my first trip and made a point of meeting up with him and his father again.” From them, Barbara learned about the different Kutchi regions and tribal areas they regularly visit to buy their textiles. 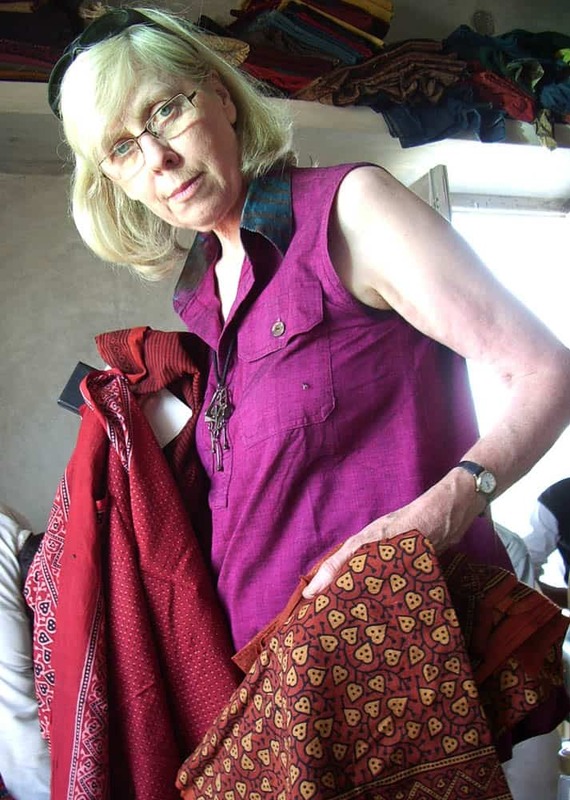 Four years after this visit to Gujarat, Barbara was approached by Kate Harper from World Expeditions, a Sydney-based travel company, to take a group of “textile people” from Australia to Gujarat. 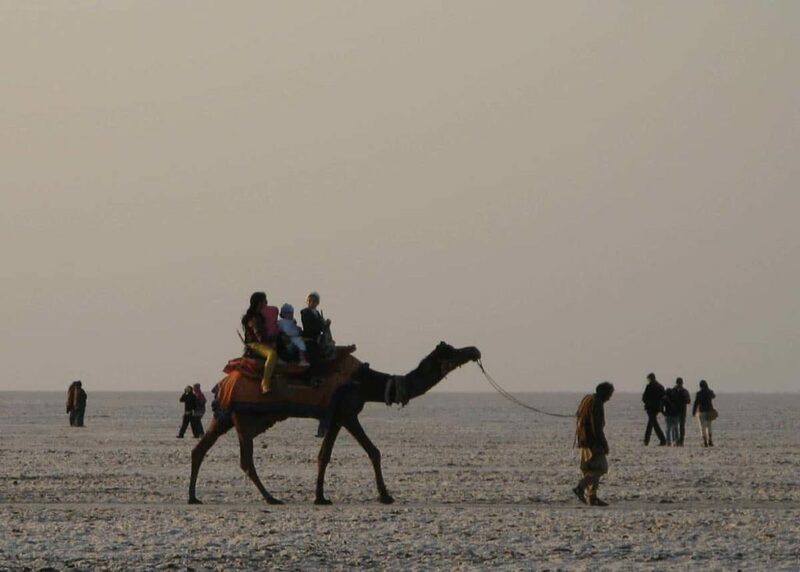 “I immediately contacted Salim and his father, suggesting that Salim be our tour guide through Bhuj and the Kutchi area up to the Great Rann of Kutch.” Salim, now qualified as a tour guide but as yet unemployed, grabbed the opportunity with both hands. 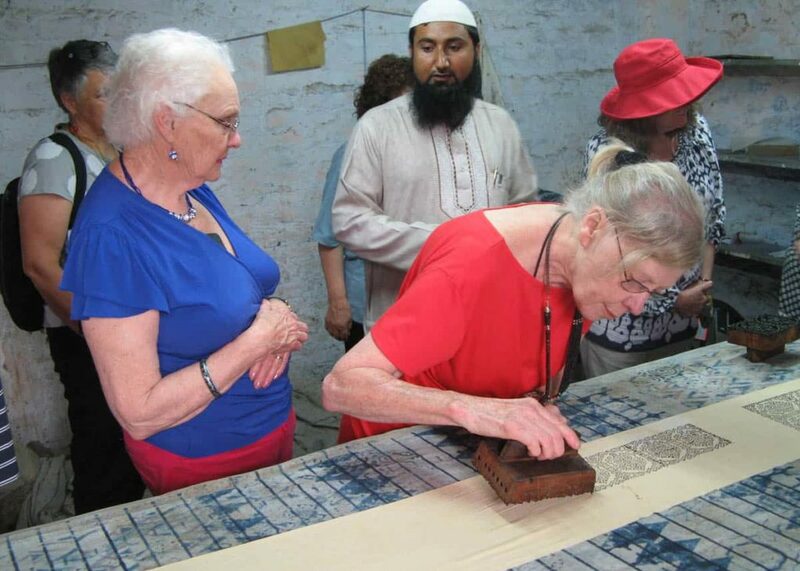 When the Khamir Craft Centre was established not far from Bhuj, Mr Wazir, one of the exhibitors, invited Barbara and her group to attend the opening as his guests. Afterwards, they joined Mr Wazir and his family, including Salim, who by this time had a wife and children, to share a celebratory meal and festivities. 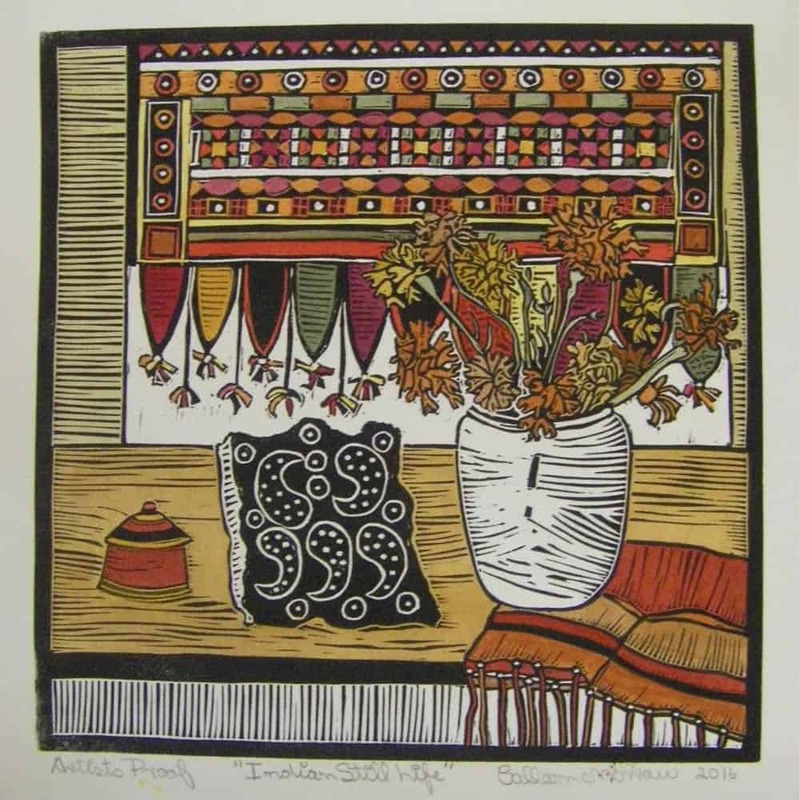 Ansie van der Walt is a freelance textile writer based in Adelaide, South Australia, where she settled with her family after living in Africa and the Middle East for many years. 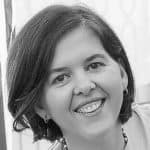 She writes regular columns and feature articles for Inspirations Magazine, the Adelaide Review, and other local and international publications. 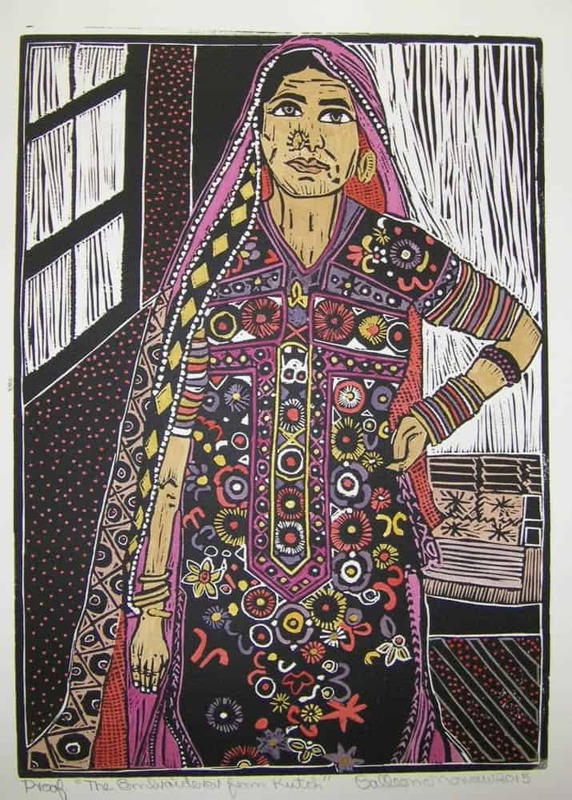 She has a special interest in ethnic and traditional textiles and craft. When she is not writing, she loves to travel, photograph architectural details, and crochet. Websites: www.ansievanderwalt.com, and www.thefabricthread.com. 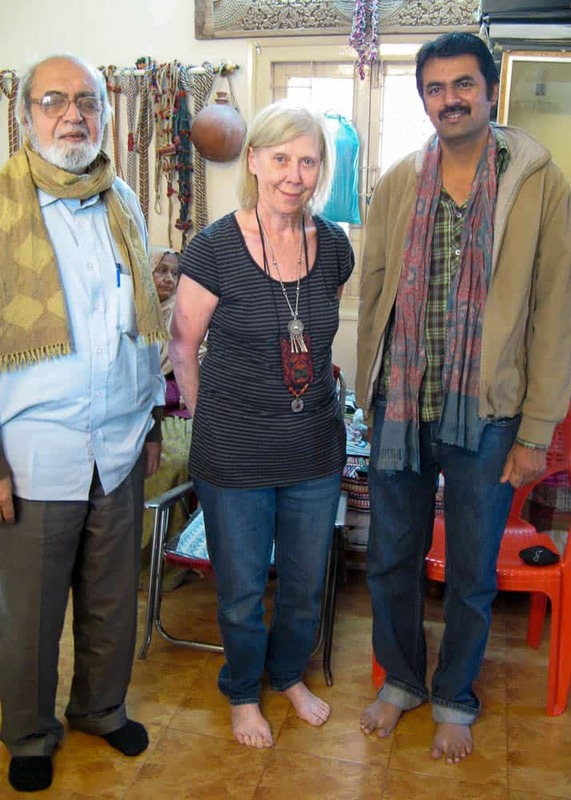 Toured Gujarat with Barbara and Salim in 2011. Most wonderful an memorable experience. Thank you for this wonderful article on our dear Barbara. I have learned even more from this.